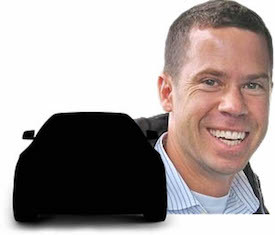 Apple VP of Product Design Steve Zadesky, who was believed to be leading Apple's electric vehicle development efforts since 2014, has informed colleagues that he will be leaving the company, according to The Wall Street Journal. He remains at Apple for now. Zadesky, a former Ford engineer, joined Apple in 1999 and worked on the iPod and iPhone during his 16-year career in Cupertino. He is also named on several U.S. patents and documents related to Liquidmetal, a malleable alloy which Apple owns the exclusive rights to. Still, the pending departure marks a setback for one of the most talked-about projects in the technology field. Apple has become the most valuable company in the world making consumer electronics products, but moving into the automotive sector poses big new challenges. Apple has aggressively recruited engineers and other talent from Tesla, Ford, GM, Samsung, A123 Systems, Nvidia and elsewhere to work on the rumored "Apple Car" project, which has allegedly been called "Project Titan" internally. Just days ago, Tesla CEO Elon Musk even called the "Apple Car" an "open secret." Last year, Apple also had discussions with a secure Bay Area testing facility for connected and autonomous vehicles, and met with the California DMV to review self-driving vehicle regulations. Further speculation arose when Apple registered a trio of auto-related domain names, including apple.car, apple.cars and apple.auto, earlier this month. Apple's electric vehicle could be approved for production by 2020, but some employees reportedly believe it "might take several more years" for the iPhone maker to develop a truly differentiated electric vehicle. The project has encountered some challenges internally due to a lack of clear goals, according to the report. How about MR waits for a confirmation from Apple before pushing that headline? I wonder if Apple will provide AppleCare for their cars. Does Apple really need to make a car? I mean, it already feels like Apple is starting to spread itself a bit too thin trying to everything under the sun. They need to take some steps back and improve their existing products (especially iOS and OS X). That's 100% unApple like. Apple created a cell phone and decieded to compete directly with Motorola and RIMM. Why would they go the Google route now and simply focus on software for smartcars? It's only one person, they probably have 20,000 people working on it and they don't pin all their hopes on one... I'm sure they have plenty of smart people capable of taking over. Apple also have the money to pay anyone to join their project, I bet anyone would for the sort of money they could offer. I still think the analysts are wrong. The "Apple Car" project is not to develop a production car for sale; Apple will not be competing with Ford or GM directly for consumers. Rather, I think Apple sees a convergence between the mobile technology developed over the last decade and what will be used in cars in the next decade, and they are focusing on developing that technology so they can have some influence or part of that future. To that end, I believe they are developing all sorts of ideas, systems, and technologies that perform a wide range of car functions, but they are not planning on actually releasing an Apple Car. Instead, they will license or sell whatever they come up with. ...but they are not planning on actually releasing an Apple Car. Instead, they will license or sell whatever they come up with. But that would be unusual for Apple. They like owning the entire widget / experience. Yes. IMO product lines like the Apple Watch are mistakes. The apple watch is not a mistake. The apple watch is not a watch. It's the iPhone in 5 years. This is not the first time Apple has done this. It's different with a different category of product, but in 5 years the watch will be the phone. It takes releasing watch 1.0 to get to 5.0.